BENSON ROAD 23/01/2017 It must have been around the mid 1950s - does anyone remember Mrs. Cox's sweet shop, I think it was called, up Benson Road? We used to love the liquorice root (looked like twigs)! On my way to school one day I stopped and looked in the window. I couldn't see any so I went inside and asked 'Have you any liquorice root as I couldn't see any in the window'. She replied 'Yes and it is in the window'. She immediately went to the window and shooed her cat off who was sitting on top of it. I proudly walked out of the shop chewing on it - talk about health and safety!. A little further down the road on the corner of Park Road was the Fruiterers where you could go in and ask for a speckled apple something you never hear of today. Photo for inclusion in your valuable site. Mrs EMILY Louisa Williams..& Mrs Cissie WESTON (with son Derek), outside No.21 Benson Road. Coronation King George V1 1937. Best Regards Derek Weston derekjohnweston @hotmail.co.uk. at Nineveh Wesleyan and Methodist Church, Benson Rd. c.1939. What a brilliantly nostalgic site. Fred and Clarice Lowe, moved from Beaton Rd to Nineveh Rd and finally to 18 Benson Rd ( 1952-1974 ). Probably members of the British Legion fishing club. My dad Fred Lowe is on the left at the back and I think the man on the right at the back is George Westwood of Talbot St. Anybody recognise the others? and my grandad Albert Pike is second from the right. Extreme left is Joe Hale and the man in the middle with the trilby is Arthur Hale ( no relation ) who used to take the Boys Brigade. The man on the far right is George ? The Cooper family ...41 ? Benson Rd. My sister Sue Lowe and a friend, is it Joy Whittle? Sue Low and Jane Rodgers at the top of the garden 18 Benson Rd. A weekend in Backpool 1955? some names I can recall are Barbara Cooper, Emily Cooper, Harry Bartlam, Athur Lowe. Anyone know the others? WILLIAMS' family of (19? )Benson Road. circa 1922. Back Row: Len, Harry, Albert and Howard Middle Row: Jack, Cissie and Mabel. Front Row: Grace, Emily, Doll (Doris), Arthur and Edna. My mom Janet (still with us) grew up during the 1940s and 50s in Benson Rd. Her mother was Violet and her dad Eric Whittle- both long gone now I'm afraid but my mom has an older sister called Maureen and younger one called Joy who readers may remember. They all lived at the house right next to the Wondervaults pub (the end nearer the railway line) - in fact when I used to stay over I remember the sound of the voices and piano music coming through the walls at night. Unfortunately I can't remember the house number (44, 45 or 46?) as I was very young (4yrs old) when they moved out (to a posh council house in Harborne in 1965). On the recently-posted photographs of the railway station at Benson Rd on your site, if you look at the one at the top right taken at rail level I think you can see the upper stories of the houses and then the white front of the Wondervaults pub in the distant background, behind the railway lines and buildings. That block of houses in the triangle formed by Benson Rd, between the railway line and the pub were demolished and made way for a scrap yard and the Wondervaults (I think) temporarily became a DIY store. On a recent trip back (2005) I notice that the land (including the Wondervaults itself) is now occupied by a care home. 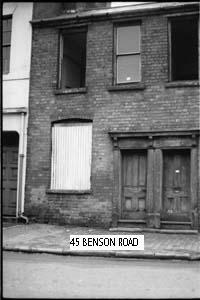 This photograph of 45 Benson Rd next to The Wonder Vaults pub was taken by my dad John Rowe in 1966/7 just before its demolition. We always had to approach the house through its back door by going up the entry (Grandad Whittle wouldn't allow us to use the front door!). The houses had deep cellars and a huge coal-fired range in the back kitchen. The front room was kept "for best". Some of my nan Violet's relatives (I think they were called Spillers) lived further up Benson Rd in much older houses the other side of the pub that seemed more like cottages and you had to approach them by going up through an alley. I think my great grandma lived further up on the opposite side of Benson Rd (or the next street down) for a while - they definitely were called Spiller. PS. 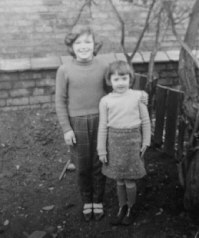 I now live in the North East (Hartlepool) but I was born in Dudley Rd (City) Hospital and immediately became a resident of Lozells Rd until we moved onwards and upwards to Great Barr in the late 1960s. Hi again I am looking for any one who knows the Bull family from 22 Lees St also my mate Macca who lived in Benson Road and a girl we called "TEAPOT" also from Benson Rd. Best wishes Dave Bull Isle of Wight. The caption reads: "A photograph of the Great Western Railway station at Soho & Winson Green. A train approaches on the line from Birmingham to Handsworth & Smethwick". Photo thanks to McJoseph 26/09/06. The photos are of Soho & Winson Green Station of the G.W.R. 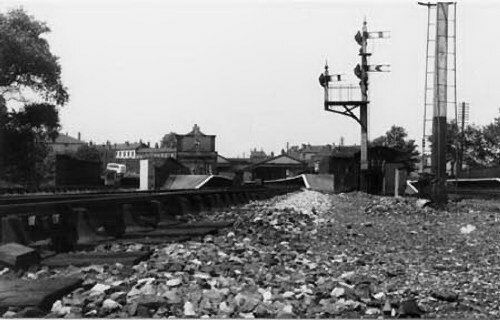 The station buildings and signals are of pure G.W.R. type. The bridge in the distance carries Benson Road over the railway with the station entrance also there. Does anyone remember Nellie & Gladys who worked in the booking office there in the 1950's? I lived in Lodge Road from 1945 until 1961. Ex GWR 4-6-0 No 7900 "St Peters Hall" passing Soho and Winson Green signal box in 1956 Photo Copyright "D K.JONES collection" with thanks. This PHOTOGRAPH was taken in Benson Road sometime in the 1960s. Does anyone recognise the little girl? We lived in one of the back-to-back houses. Our address was 1 back of 38 Benson Road, on a letter the address would have been interpreted as: 1/38 Benson Road. To the best of my knowledge there were 7 b-to-b houses in our part of Benson Road. Two either side of, and adjoining the Wonder Vaults with a central entry to reach the back and three forming part of a terrace block across the road opposite the Vaults. One having a central entry and ours the entry to the side on the adjoining wall to a small shop owned by a lady named Doris. The Wonder Vaults is remembered only as a large White pub on the flat bit of Benson Road between Bacchus Road and the railway bridge. The facade and interior is loosely remember but the Outdoor, frequented very regular for a little packet of cheese and biscuits, is remembered well. I also played with the children of the pub. I remember the Soap Hole well this is where you spotted your LMS locos(Vittoria Street Smethwick) however I was a GWR man so it was a little yard opposite Soho and Winson Green railway station (in Benson Road) that I frequented called "Allens Yard". Does anybody remember that ruddy great dog that used to put the fear of god in us when we went passed the back gate. O Happy days. To the left of the school past Allens Road was an odd triangular shaped court yard with a passageway leading to Allen's Road. This courtyard had open railings on one side the other side of the railings was the Great Western Railway (GWR). Head mistress in the early 1950's was Miss Dumealow.